Please scroll to the bottom of this page to see all model options and pricing. All Gulden eye models are realistic, brightly colored models of the human eye. Some models also show the patient what disease looks like and what it is doing to the eye. This allows the ophthalmic practitioner to explain and discuss many eye related issues with patients. Enlarged sizes are great for beginning optometry students or even undergraduate and secondary students. 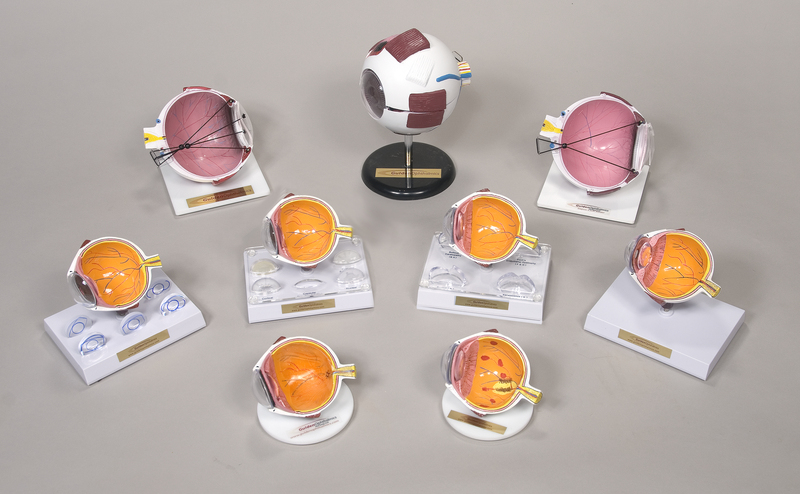 Bright colors, dissectible models, and patient education cards make our medical eye models helpful tools to teach patients about the parts of eye, their relation to one another, and various eye conditions and treatment options. Gulden Ophthalmics has been in business since 1938 when the founder invented the prism bar. Since then, Gulden has leveraged industry experience and developed a wide assortment of quality educational products. To learn more about the history of the company, click here.